Eight students were killed nationwide in the school bus loading and unloading zone, two by their own buses and six by passing vehicles, during the 2016-2017 school year. Four fatalities were recorded for each of the previous two school years. 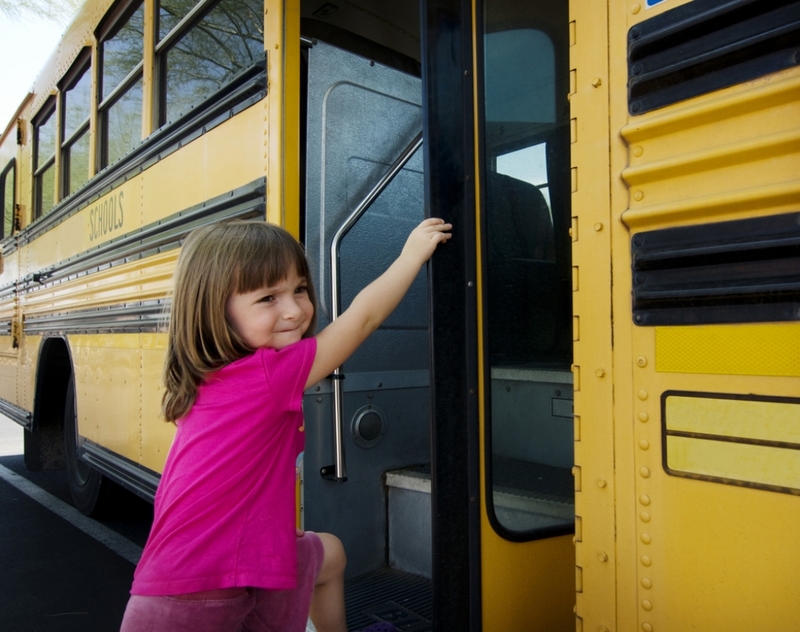 The National School Bus Loading and Unloading Survey is produced annually by the Kansas Department of Education and the National Association of State Directors of Pupil Transportation Services. The survey does not count on-board fatalities. The eight fatalities last school year were evenly split between girls and boys. Five of the children killed were six or seven years old. One was nine, one was 11 and one was 16. One student was struck after getting off her bus when her driver did not see her crossing in front of it. Another was killed after getting her backpack caught in the bus door and being dragged a short distance. Both vehicles involved in the incidents were conventional Type C school buses. Three students were killed as they crossed the street to board their buses, which had not yet come to a complete stop but were displaying eight-way yellow lights. Three others were struck and killed by passing motorists who illegally ignored a stopped school bus' extended stop arm and flashing red lights. Half of the fatalities occurred on a Thursday, two on a Friday, and one each on a Monday and Tuesday. Only one occurred in dark conditions. Weather conditions were clear at the time of seven of the fatal incidents, and cloudy during the other. The road was dry when seven fatalities occurred. The road was slushy with snow during the other incident. All but one fatality occurred in a rural area. Six occurred on federal or state highways and two on city streets. STN records indicate that four additional student pedestrians were killed last school year in incidents that involved school buses but not during the loading or unloading process. Three students were hit by a school bus as they were walking on or near roads, and another student was struck by a motorist after the school bus had already dropped him off at a stop and left the area. "Fatalities-which are caused by a variety of circumstances and errors by passing motorists and school bus driver-continue to take place," the survey introduction read in part. "This shows the continuing need for forceful, advanced instruction to school bus drivers and students, as well as the need to increase our efforts to thoroughly inform drivers across the country about the requirements of the school bus stop law." On average, nearly nine students died while loading or unloading the school bus over the past 10 years. Data for the report is provided by "state agencies that are responsible for school transportation and/or accident records." All 50 states and the District of Columbia participated.